Salzburg is one of those unique European cities which has an aristocratic beauty, a historic charm and modern pulse in one place! Whether you are traveling with your partners, friends or even unknown group of tourists, you will share the same feeling, which is admiration! Starting with the old Celtic town of Hallein situated on the River Salzach and ending with Hohensalzburg Castle, everything is charming and unforgettable! 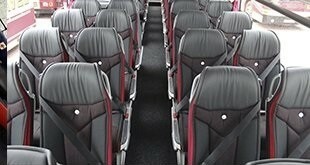 8Rental a reputable bus rental with driver in Salzburg offers to book the coach that best meets your requirements at the most profitable price! With passenger health insurance, necessary fuel for traveling all around Salzburg, and plenty of other advantages only 8Rental provides in entire Europe, booking a bus becomes so beneficial! 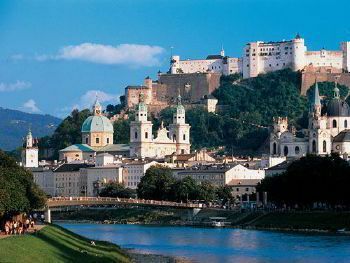 Get a quote now and book a coach with a driver in Salzburg as the famous Salzburg Cathedral, St. Peter's Abbey, Neugebäude, St. Peter's Church, Salzburg's Festival Theaters and many other sights are already waiting for you!. Operating in the industry of vehicle hire in Europe for many years, 8Rental has managed to serve hundreds of clients! Those who rent a bus in Salzburg for larger groups of travelers, ultimately address to 8Rental vehicle supplier services. What makes us so widely appreciated and respected by clients all over Europe is the quality service we provide. Any client is welcomed with warmth and readiness at 8rental as we see our clients as a part of our team. We guarantee safety, comfort and sensible costs! You may choose a vehicle from our expanded fleet of buses as all are in perfect condition! We provide for rent a bus with a driver in Salzburg to accommodate up to sixty-five passengers! If your group of tourists is large, this might be the best choice. Consider booking a Mercedes Tourismo designed for 25-65 people. This standard coach features a stylish design and a series of amenities that guarantee the utmost comfortable drive. 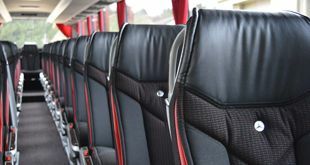 Hire a chauffeur driven coach in Salzburg from 8Rental and your passengers will be provided with reading lights, reclining seats, seat belts and armrests, tinted windows, air conditioning, air suspension, DVD player with screens, toilet, refrigerator, hot drinks facilities. What else may your travelers need for moving around the city? In case you are welcoming a smaller number of people to Salzburg, Mercedes Sprinter can serve you perfectly! This vehicle was built to transport up to two dozens of people for long distances without any hustle and bustle. Being of a smaller size, the vehicle is not equipped with a toilet or a bar with a fridge, yet it has all the amenities intended for a smaller group of people including central heating and air conditioning, carpeting and curtains, audio system, tinted windows, radio/DVD/CD, etc. Driving license, experience and devotion to work is what combines all the drivers of 8Rental. They are competent and professional. This is what our clients appreciate most of all. We have employed English, Dutch, and French-speaking drivers to meet any client's demands. If you find you feel more comfortable with an English speaking driver, no problem! Just mention about your requirement in the quote and your wish will become true! Now it time for your adventure to unforgettable Salzburg to begin!